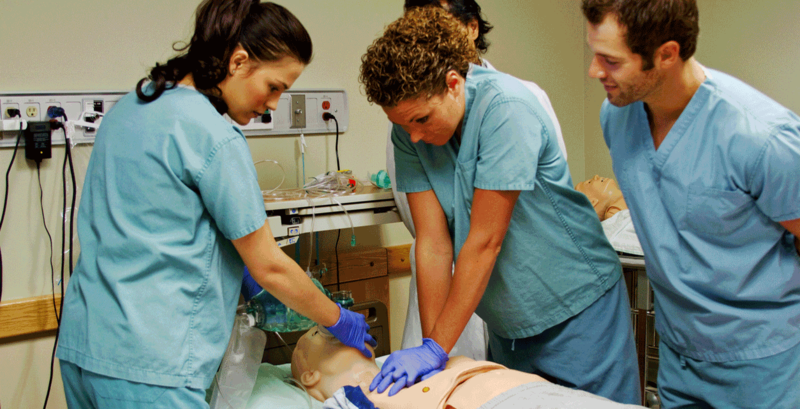 Your path to a great health care career begins at Southwest Virginia Community College. According to U.S. Department of Labor projections, the health care industry will account for one-third of the nation’s job growth between now and 2022. Health care degrees are valuable degrees for the job seeker. Southwest Virginia Community College offers a variety of affordable, convenient health care degrees that provide you with excellent health care training. You’ll get the preparation you need to land a good health care job, or to continue your education in a health care bachelor’s degree program. Personalized instruction. You’ll learn face-to-face from experienced faculty who are generous with their time and attention. Health care classes can be challenging. Our instructors will make the extra effort to help you get through. Hands-on experience. Our health care programs get you ready for the work force by letting you work directly with the latest technologies and methods. A supportive environment. Southwest Virginia CC emphasizes cooperation, not competition. If you need tutoring, mentoring, transportation, child care assistance, or any other type of support, our advisers and staff will help you find a solution. Transferable credits. If you want to pursue a bachelor’s degree, your credits from Southwest Virginia CC will automatically transfer to any public four-year school in the state, and to most out-of-state colleges and universities. Find out how Southwest Virginia Community College can get you started on the road to a health care career. Contact us at 276.964.7238 or admissions@sw.edu.